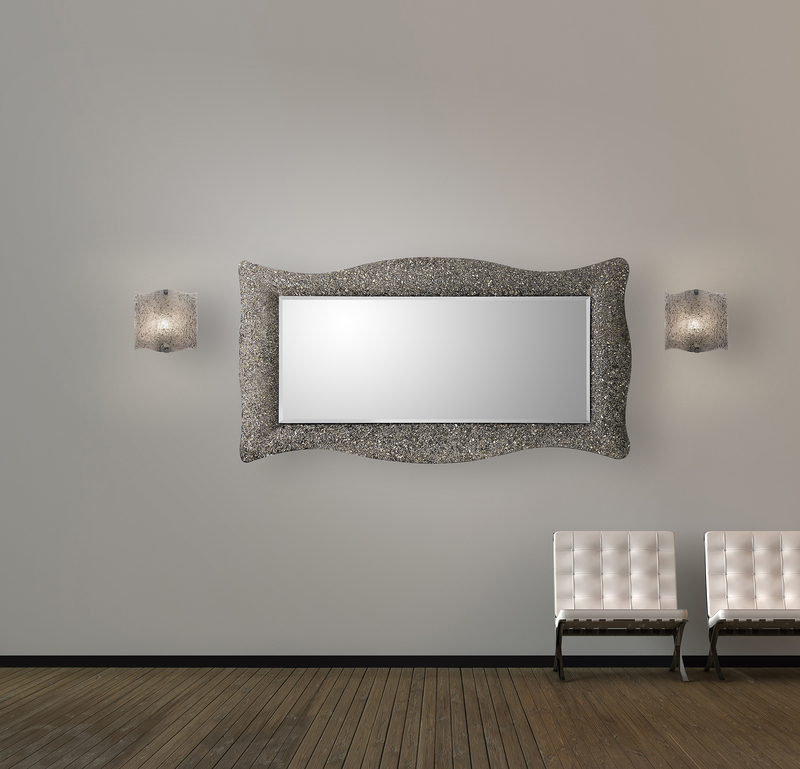 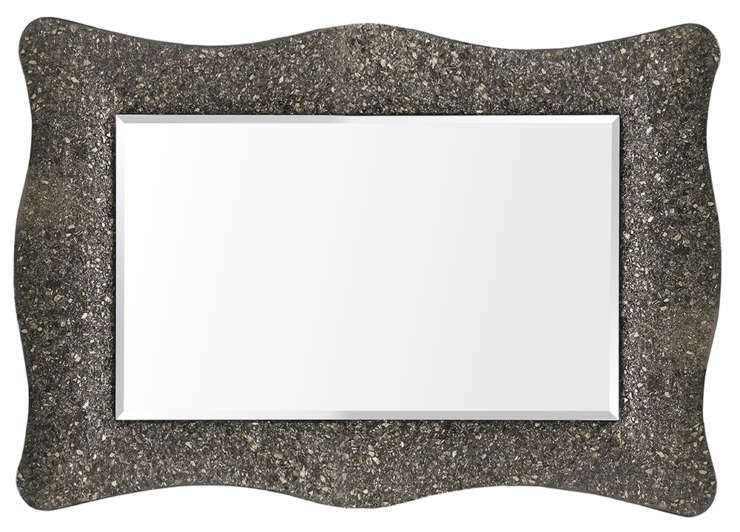 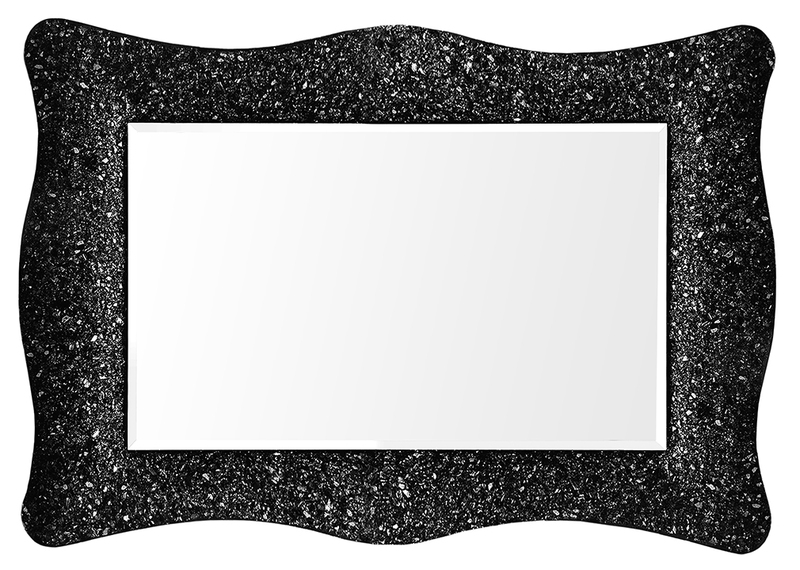 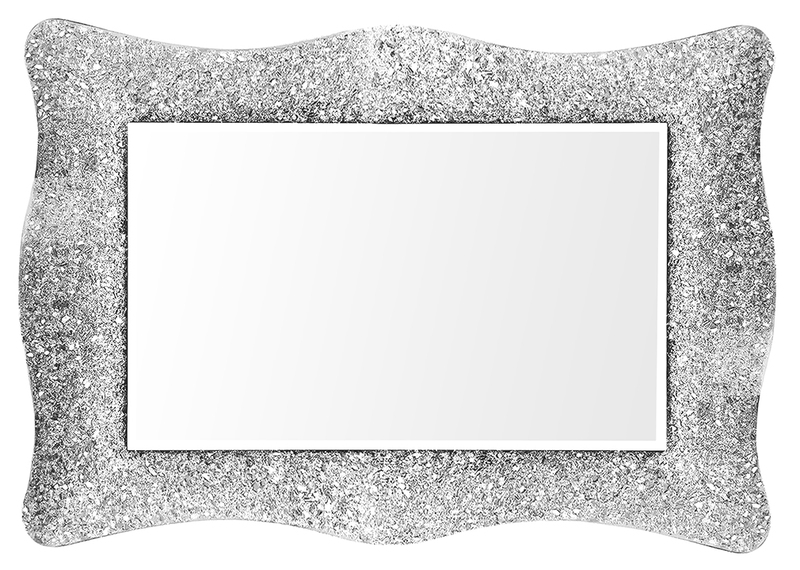 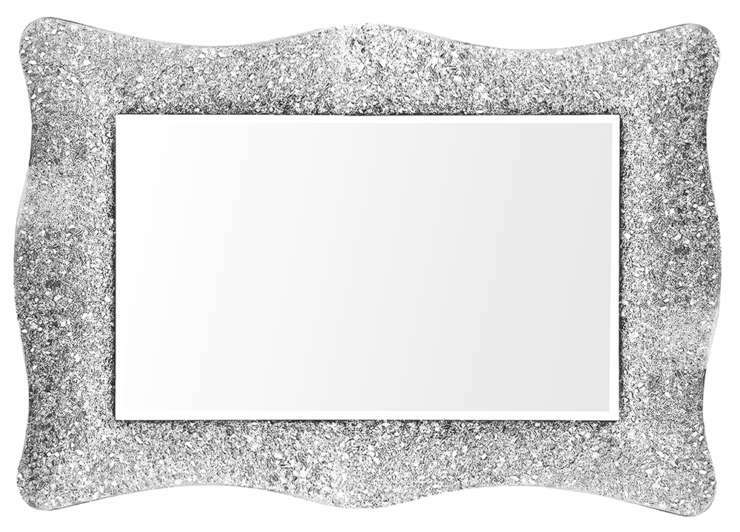 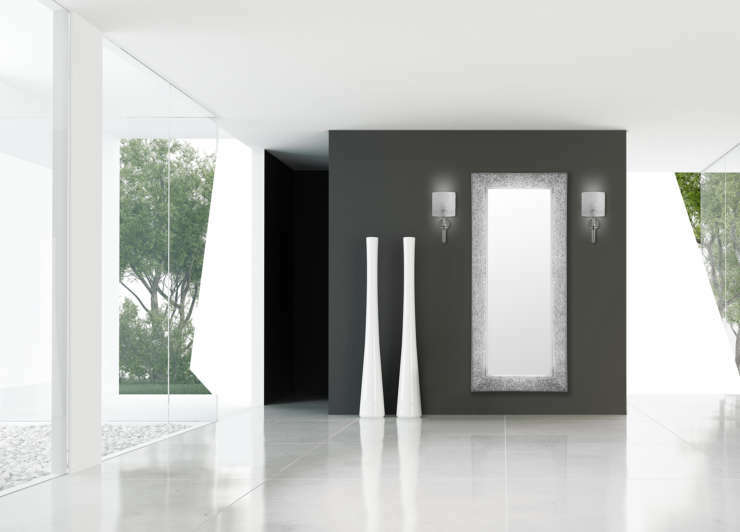 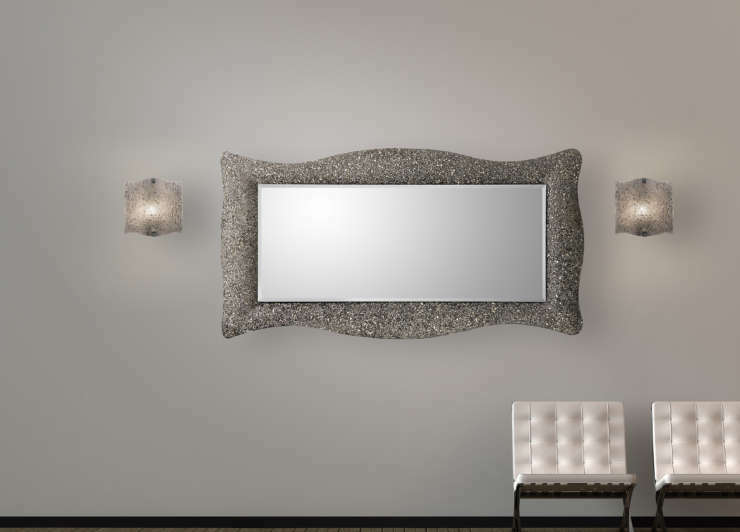 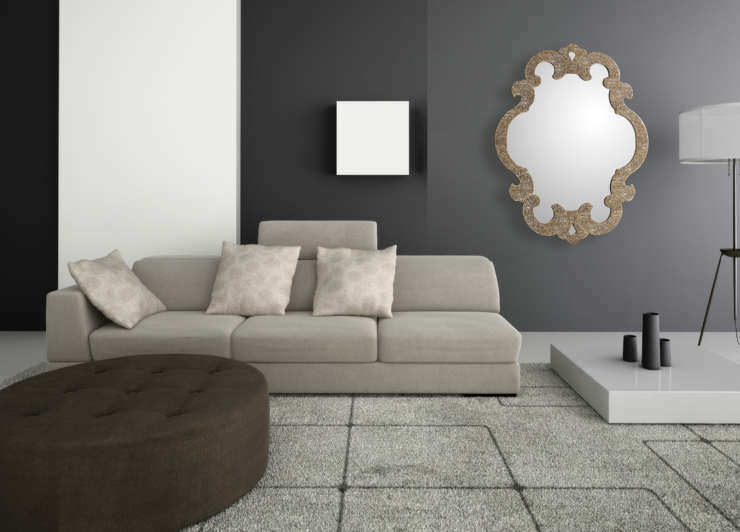 Wall mirror consisting of a fused crystal frame. 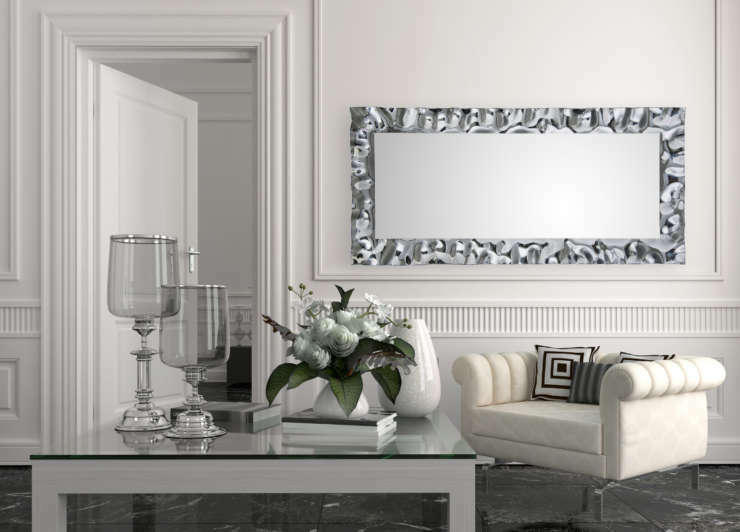 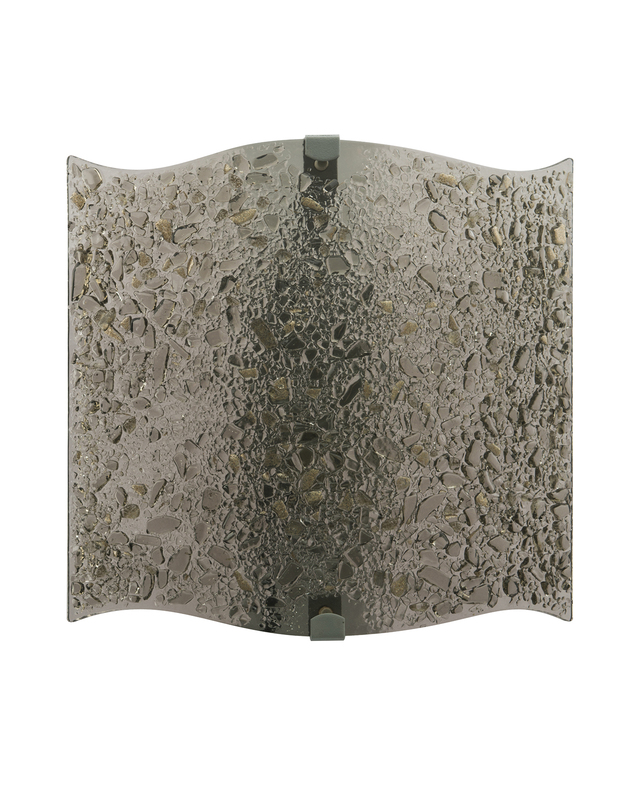 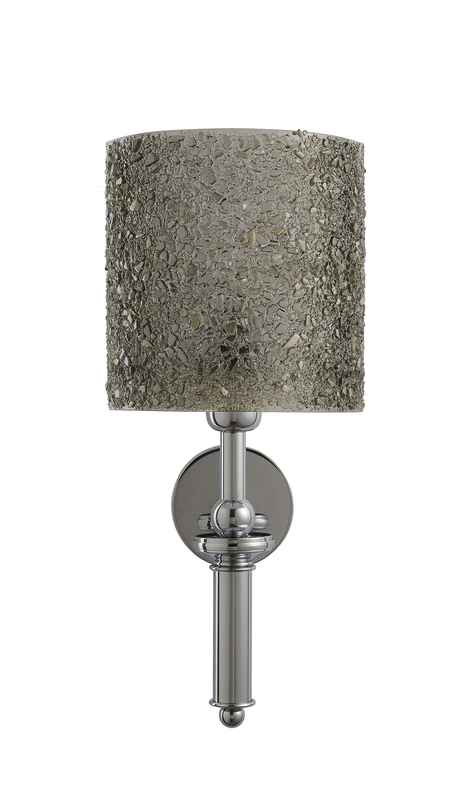 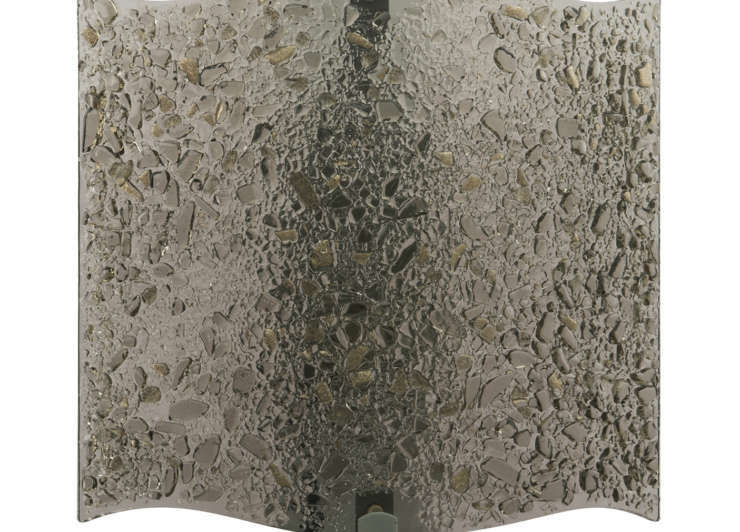 Available in two rectangular sizes and four finishes. 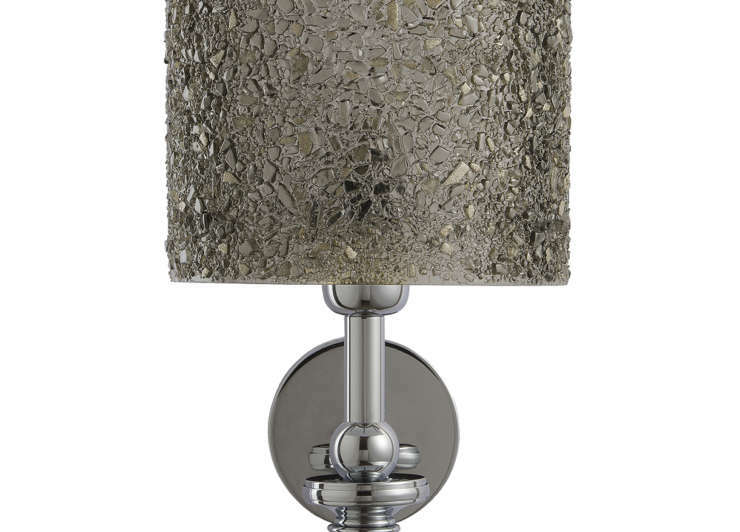 Can also come with Led.